Auditors challenge $700,000 in spending by Quebec's former Lt.-Gov. Former Quebec lieutenant-governor Lise Thibault spent $700,000 on activities outside her official responsibilities, according to federal and provincial auditors general. Former Quebec lieutenant-governor Lise Thibault spent more than $700,000 on activities outside her official responsibilities, according to federal and provincial auditors general. $239,000 on activities not related to her official position as Quebec's lieutenant-governor. $129,000 on housing and meals already paid for by the province. Thibault, who recently ended her mandate as the province's Queen's representative after 10 years in office, spent $239,000 on personalexpenses and claimed $129,000 in housing and meals from the federal government, even though the costs werecovered by the province. The spending irregularities are documented in a joint report released Tuesday by federal auditor general Sheila Fraser and her Quebec counterpart, Renaud Lachance. Quebec's opposition blasted the provincial government for allowing the spending to go unchecked for a decade and called for stricter rules for the lieutenant-governor's office. But Thibault on Tuesday issued a statement defending her spending, saying it was done in accordance with the rules, practices and traditions of Canada's lieutenant-governors. "During the 10 years of my mandate, I always acted in very good faith in all circumstances," she said. "Those who know me know that I am an honest person." The report also concludes the former lieutenant-governor spent some $343,000 on various expenses without submitting proper receipts or documentation. $40,000 on bodyguard services for days with no official events or activities. $45,000 on gifts with no specific reason for unidentified people. $4,600 on ski trips to Mont-Tremblant. $44,000 on tips left by Thibault's bodyguards at a Tremblant hotel. $4,000 on a birthday partyfor a member of Thibault's family. $2,800 on two private restaurant dinners. $3,700 on a private fishing trip in the Gaspé. $2,300 on a private trip to Ontario. $1,600 on a trip to New Brunswick to attend a golf tournament. Thibault said her undocumented expenses were made in the tradition taken by other lieutenant-governors. She said the other $368,000inexpenses were authorized by the federal government. She saidshe has made herself immediately available to government officials to clarify her spending records and explain her version of thefacts. She also noted that ifher spending is being examined, the spending of otherlieutenant-governors must be examined, too. 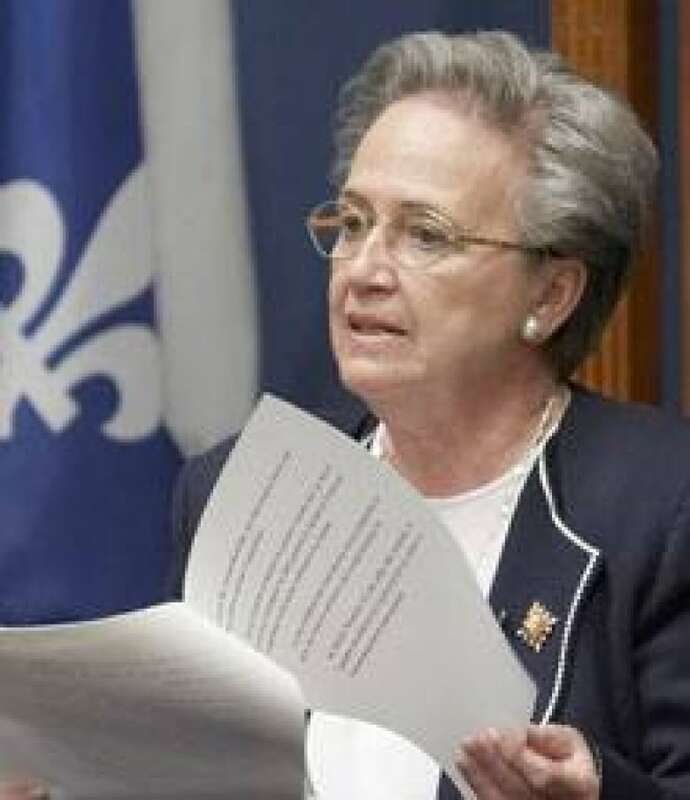 Thibault, who was Quebec's lieutenant-governor from Jan. 30, 1997, to June 7, 2007,tallied a total of $9.8 million in expenses from Quebec, and $1.7 million from Ottawa, in addition to her annual salary of $114,000, according to the joint report. Fraser and Lachance are recommending the federal and provincial governments discuss repayment with Thibault, who was recently replaced by Pierre Duchesne. Despite the spending irregularities outlined in the auditors general report, Thibault said she is proud of the 10 years she served as lieutenant-governor, meeting and working with all kinds of Quebecers. "I did it in the open, without hiding," she said. "I will only look on those years with pride and a sense of having well done my work serving Quebec and Canada and the causes I stood for." The report alsoreproached the Quebec government for not questioningThibault's expenses when they were filed. Quebec Opposition Leader Mario Dumont criticized the Liberal government for allowing "money to fly out the windows" at taxpayers' expense. Parti Québécois legislative member Sylvain Simard called the report a "horror story about enormous waste." He's calling onQuebec's justice minister to further investigate Thibault's spending. Intergovernmental Affairs Minister Benoît Pelletier said he plans to read the report carefully before taking any steps to address its findings. "We will follow up on the report," he said on Tuesday.